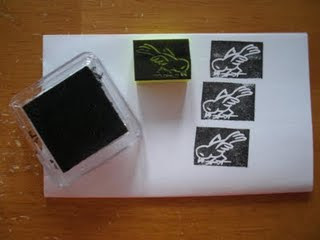 I found this great blog tutorial today that uses everyday objects to create stamps. I think I am going to give it a try especially since the holidays are coming. 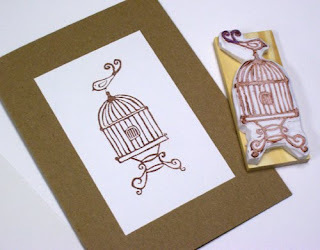 I think with this technique you could make stamps for letters and tags for gifts. I am looking forward to it. The tutorial is from Obsessively Stitching but does not require sewing. 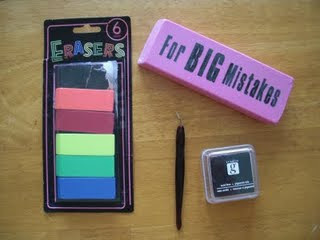 She uses these items, an eraser, cuticle remover, pencil and paper, and a stamp pad or marker. 3.Stamp the sides of a post-it note cube for a cute gift. 4. With Halloween coming soon: Get non-toxic ink and stamp on yourself – makes a cool temporary tattoo! (kids love this one too). 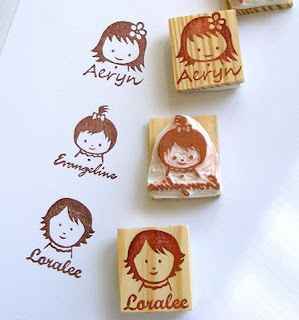 Below are some images of handmade stamps. Really cool!